In August of 2001, our client, “Zelda,” purchased her first home in the Boston area. Her intentions were to add two dormers to the third floor so she could rent out rooms to help pay the new mortgage She entered into two written contracts with a local contractor. 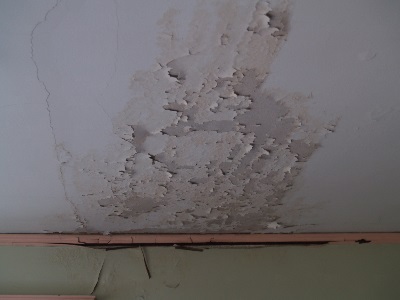 Unfortunately, the contractor violated the contract in numerous ways, but most significantly, one of the dormers leaked, causing extensive damage, including water coming into her bedroom ceiling. Zelda retained Boston attorney “Cheatum,” who presented a fee agreement, took Zelda’s hard earned money, and agreed to resolve the problem. Cheatum took photographs of the damage, but lost them. Cheatum said he could resolve the problem, but he didn’t. One year later, Cheatum had a new associate, who had no experience in this area of law, the Contractor Statute, Massachusetts General Laws, Chapter 142A, and had her send a short 93A Demand Letter! The contractor responded through his attorney, but did not offer any significant relief. Cheatum then asked our client for more money to file a lawsuit. Zelda borrowed the additional money. Unfortunately, Attorney Cheatum waited yet another year, and had yet another new associate file a lawsuit. Cheatum also had Zelda pay for an expert to write a report regarding the extent of the water damage. Unfortunately, the contractor Zelda had hired died. Cheatum failed to amend the complaint to substitute the estate of the contractor – and allowed Zelda’s only claim to pass away too. Cheatum, however, did not even know this. He also sued the contractor’s company. Unfortunately, there really was not a company at all, it was a nonexistent corporation. Nevertheless, Cheatum had various new associates, none of which had civil litigation experience, file pleadings and attend an assessment of damages hearing against the nonexistent corporation. Cheatum won a judgment of $113,279.55 in Suffolk Superior Court against the nonexistent corporation but failed to tell Zelda how to collect on it. He let the paper sit in the file. In fact, despite the fact that the company was never incorporated and the contractor was long dead, Cheatum continued to believe it was a valid judgment, until he heard from us. Zelda came to us having spent thousands of dollars on Cheatum and an expert; the collection attorney she consulted said there was no one to collect from! All she had in was a useless judgment. We secured the file from Cheatum and sent him a Massachusetts General Laws, Chapter 93A Demand. His insurance company retained counsel and the insurance attorney responded to the 93A Demand stating Zelda’s “purported demand letter is off the mark and unwarranted….The analysis contained therein is superficial and does not address the heart of the issue.” This is a typical response of the insurance defense trial lawyer bar. It is in attempt to dissuade aggrieved parties from pursuing their claims. And, to a degree, it works – sometimes, but not this time. We spent two (2) years litigating the case against Cheatum, his insurance attorney and their well funded insurance team. We retained a legal expert who was prepared to testify as to the numerous negligent actions of Cheatum and his inexperienced associates. We located Zelda’s original contractor expert and retained him to testify if necessary. We retained our own Professional Engineer to determine the structural soundness of the dormers. Finally, we retained a contractor to give an estimate as to the current level of damage to the home. Most importantly, however, we relentlessly went after proving that the original contractor had assets that Cheatum could have used to pay the judgment; he had a house with equity, he had a bank account, and he had investment real estate. Cheatum, and his team of insurance attorneys and experts continued to insist that the house was in a “real estate trust” so Zelda could not have collected against it. We proved that because of the way he set up the trust and continued to deed the property in and out of the trust to refinance, there was established caselaw that would have invalidated the Trust. As a result of our persistence, and showing that we were ready for trial, the case was resolved before trial and the plaintiff agreed to keep the terms of the settlement confidential.